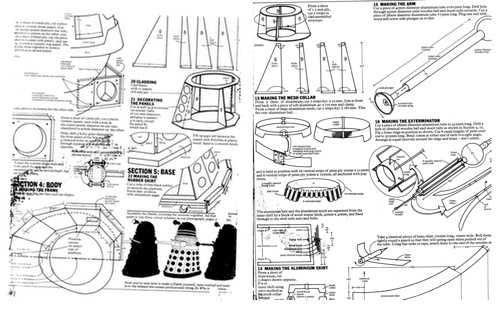 The Daily Telegraph and others are making much of the online publication of a series of build-your-own Dalek blueprints from the 1970s. The plans were apparently sent by the Doctor Who Production Office to a viewer. Reading today's stories, you'd think the blueprints had been missing, presumed lost, for years. But, as any half-decent Who fan knows, the plans were published by the BBC in 1973 in a special edition of its listings magazine Radio Times to mark the tenth anniversary of the show. Indeed, pics posted by the Telegraph suggest that the BBC simply sent out a set of photocopies of the pages in the special. You can still pick original copies of the special for around £16 these days, rising to £100 if you want one signed by Dr Pertwee himself. 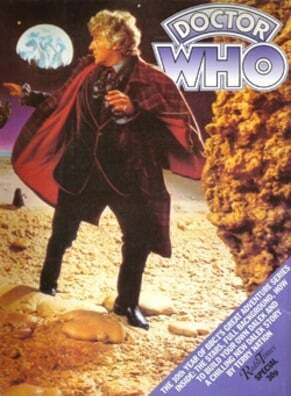 Even cheaper copies can be obtained if you settle for the reprint of the special put out by the BBC a few years ago.